In 2014, the killings of Mike Brown, Eric Garner, and others, and the lack of indictments against their killers, led to another resurgence against racially biased police killing. 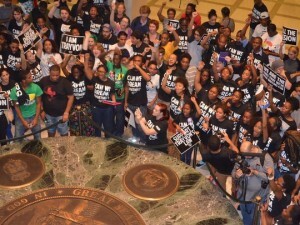 More youth-led racial justice groups such as Hands Up United and Ferguson Action Network pushed the national dialogue on police brutality to a new level. Protests inspired by these events and groups carried the message of Black Lives Matter to cities all across the country, and created a nationwide network of Black Lives Matter organizations. 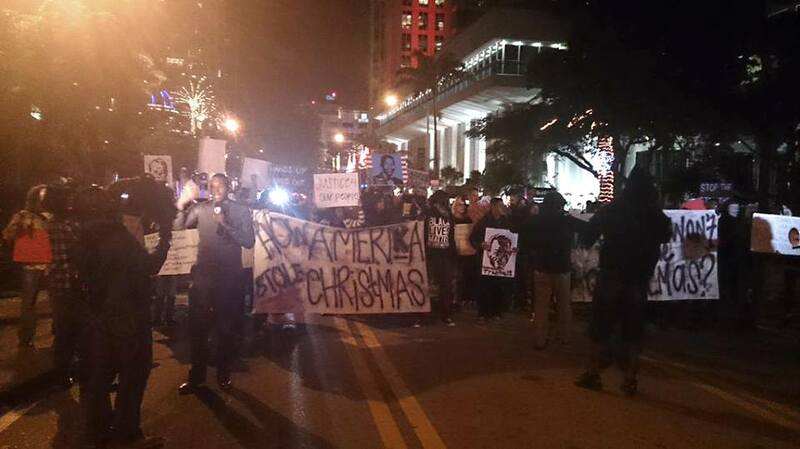 By the end of 2014, “Black Lives Matter” blockades, die-ins, and protests were taking place in almost every big city in the nation, including almost every major city in Florida. In Broward County, new youthful activists as well as participants from groups like the new Broward chapter of the Dream Defenders, Fort Lauderdale Food Not Bombs, Broward Green Party, POWIR (People’s Opposition to War, Imperialism and Racism) and others brought a series of #shutitdown protests to downtown Fort Lauderdale. 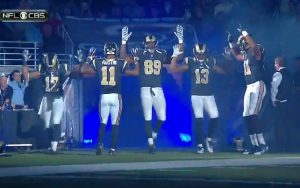 These protests mirrored not only the tactics of the larger Black Lives Matter movement but also its principles of intersectionality; ongoing protests into 2015 called not just for racial justice but justice against oppression against people based on their class, gender, and sexual orientation as well. Fighting together against issues such as white supremacy, police brutality, homeless discrimination, patriarchy, homophobia, and transphobia created the praxis upon which the Alliance would be founded. 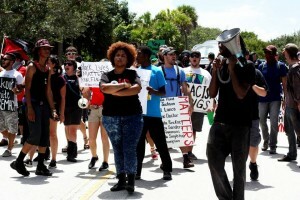 Following another coalition vigil in the aftermath of the Charleston Massacre, activists from these protests started monthly meetings with the help of the Unitarian Universalist Church of Fort Lauderdale, and eventually formed the Black Lives Matter Alliance Broward. Although the Alliance sympathizes closely with the principles and goals of the greater Black Lives Matter network and other organizations that we participate with, the Alliance is a locally focused and fully autonomous coalition that, at this time, is wholly made up by the voluntary efforts of its membership. To find out about our upcoming events, check out our calendar at right. You can find out more about our past activities here.